If you have only 1 week in Thailand, what do you want to get out of your travel the most? Thailand actually has everything that you ever wish in a vacation. Historical ruins, lush jungles, pristine white beaches, and islands, you name it! If you want to explore the best of Thailand in one week, look no further. These 3 best 7-day Thailand itineraries will guide you through the some of the best destinations in the beautiful country. This capital city attracts the most visitors from worldwide in Thailand every year. People say the combination of modernization and civilization is the biggest charm of this city. Bangkok is filled with the most famed historical spots, popular entertainment areas, top eateries, and countless other amazing things to do. Check out the best things to do in Bangkok below. The Temples Tour: Visit all the symbolic temples in Bangkok such as Wat Pho, Wat Arun, Wat Phra Kaew, and The Grand Palace. 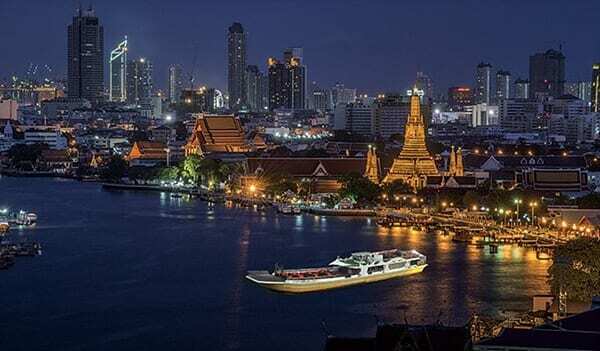 Chao Phraya River Dinner Cruise: Have a romantic night getting onboard the Chao Phraya River cruise to have a luxurious dinner on the Chao Phraya River. Go Shopping: You can find every type of shopping places in Bangkok. If you want to go to a department store, there are Siam Area, Central World, Terminal 21 and Mega Bangna. Or, if you want to experience a local market, you can visit places like Chatujak market, Yaowarat road, Ratchada Night Market and Asiatique! Pattaya is one of the best cities in Thailand for a vacation. The city is filled with many tourist attractions providing a variety of experiences. It’s also not too far from Bangkok; just by 1-2 hours driving. In Pattaya, you will get to beautiful beaches and islands such as Koh Larn (Coral island), Koh Samet and Koh Samaesan where you can experience an extreme watersport. Here are the top things to do in Pattaya. Have Fun at Water Park: There are two best water parks in Thailand and they are both located in Pattaya. First one is Cartoon Network-themed water park – where there’s a range of attractions from thrilling water slides to kid zones. And the next one is Ramayana Water Park – the newest and the largest water park in Thailand. Watching World Class Performances: Pattaya offers world-class shows and performance that you do not want to miss out on! If you are really into history, you should consider visiting Ayutthaya, which is an ancient capital of Thailand. It is also not too far from Bangkok; just about 3 hours driving. 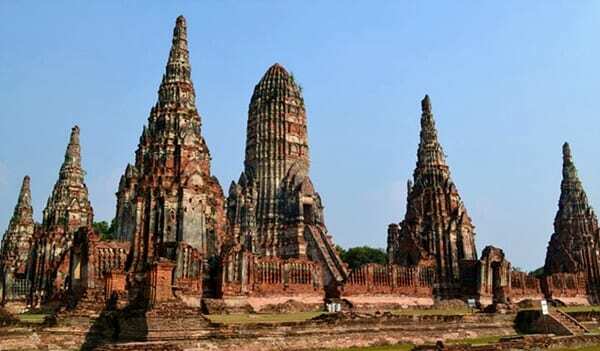 You can see many remarkable temples ruins in Ayutthaya. It’s a great place to learn the Thai culture and history in Thailand. If you are more interested in modern history than the ancient history, Kanchanaburi will be a great place to visit for you. 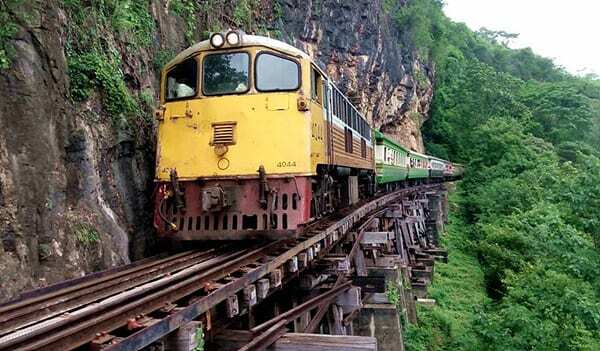 You can see the historical attractions which were created during the world war 2 in Kanchanaburi. Not only that you can also swim at the wonderful waterfalls, or visit an elephant sanctuary. Chiang Mai is one of the best destinations for the tourists who love the green nature and Thai local lifestyle. It’s also one of the cheapest cities to travel in Thailand. Check out the best things to do in Chiang Mai below. Go to the Top of Thailand: Ancient temples in Chiang Mai are very unique in the way they look, compared to other temples you will see around Thailand. 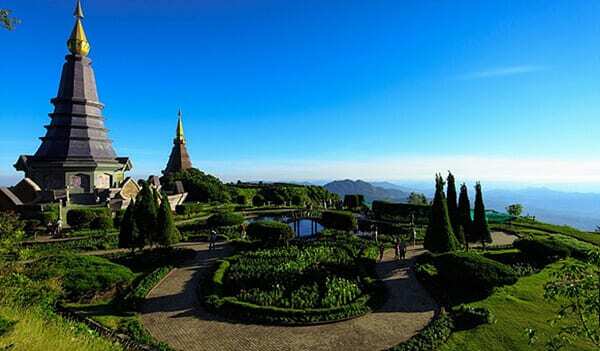 Doi Inthanon and Doi Suthep are must-visit mountains to explore the northern Thai scenery with their unique temples. Try the Traditional Food: A Northern-Thai homemade dinner called Khantoke dinner consists of sticky rice, deep fried pork skin, northern chili paste, pork curry, sweet crispy rice, and deep-fried banana. It’s served on large wooden trays, and you are supposed to eat it sitting on the floor. It is a unique experience which you must try at least once when you visit Chiang Mai. Animal Lovers: There are some good options for animal lovers in Chiang Mai. The first is to go to Chiang Mai Night Safari which is a nocturnal zoo. If you are particularly an elephants lover, Chiang Mai Elephant Sanctuary is your answer! Chiang Rai is a province rich with history, providing a pleasant exploration opportunity of the various ancient cultures and nature. Chiang Rai’s borders meet with those of Laos and Myanmar, allowing you to witness borders of three different countries at the same time, which is a rare sight. 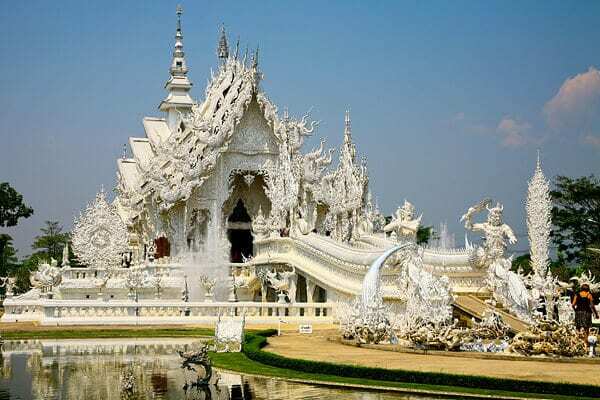 We recommend these place for your trip in Chiang Rai – Wat Rong Khun, Bann Dam, Blue Temple, and Golden Triangle. Phuket is an island in Southern Thailand which has countless things to see and enjoy. Near Phuket, there are numerous islands with incredible scenery and many enjoyable activities such as diving, snorkeling, canoeing, and fishing. Two best islands are James Bond Island and Phi Phi islands near Phuket. Visiting Phuket without ticking off these 2 places will be a huge regret in the hindsight! Beside its beautiful islands, you can also enjoy the Phuket City Tour watching cityscapes at the old district, built in the style of European and Chinese architecture. 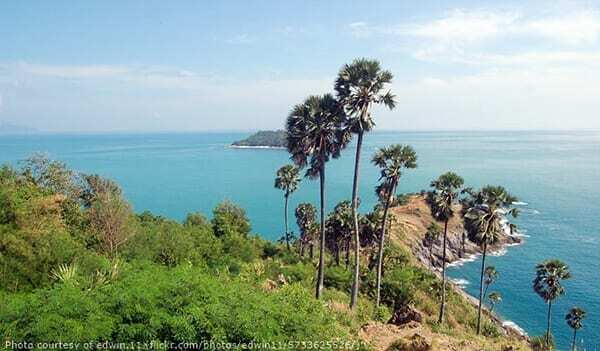 Then, visit Khao Rang Hill, where you can see an overview of Phuket Town and offshore islands. The best place for ending the day is Promthep Cape which is the high cliff along the edge of the sea to watch the marvelous sunset! 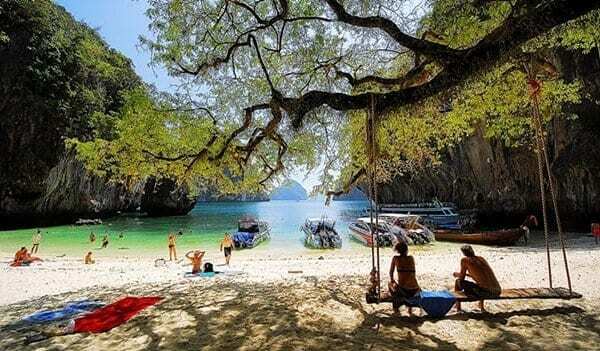 Another best destinations for islands hopping in Southern Thailand is Krabi. In Krabi, you can enjoy all sorts of things like fascinating beaches, exotic islands, and a number of different extreme activities. Beside chilling by the beach, you can also explore deep into the thick jungles of Krabi. The main jungle attractions you’ll be visiting are Krabi Hot Springs and the Emerald Pool. 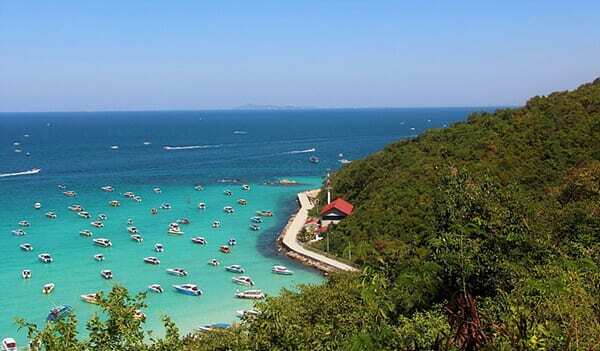 It is one of the most popular and beautiful islands in the Gulf of Thailand. 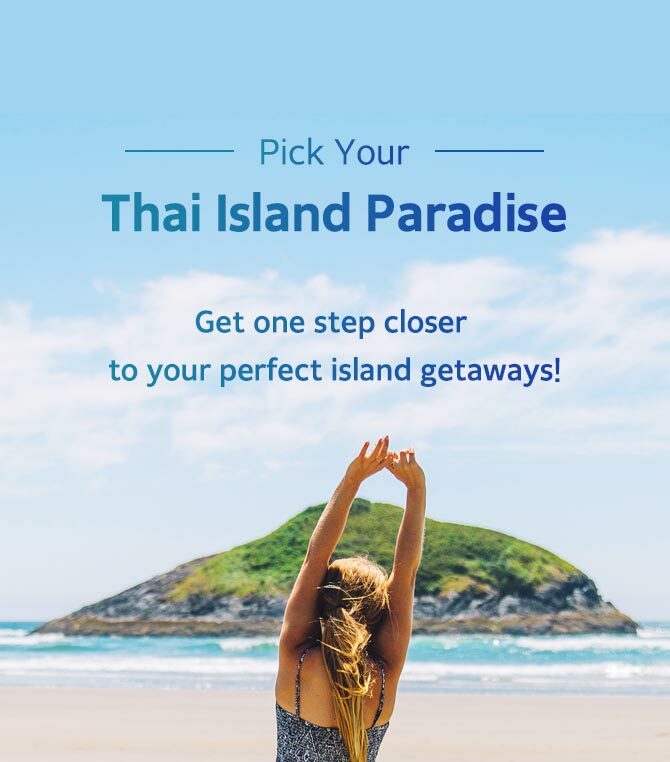 You have 2 options going there, fly directly from Bangkok to Samui Airport, or take a ferry to Koh Samui from Surat Thani (after land on Surat Thani Airport). Here are the best things to do in Koh Samui. Beaches and Watersports: Chaweng Beach, Lamai Beach and Bophut Beach are the most popular beaches in Koh Samui. Of course, there are several water sports options available such as snorkeling, flyboarding, jet skiing, fishing, and even sea walking. Land Tour: Koh Samui is a great place to experience Chinese cultural influence in Thailand. We highly recommend you to visit Chinese Lady Monk (Guanyin), Big Buddha Temple (Wat Phra Yai), Grandfather & Grandmother Rock (Hin Ta & Hin Yai Rock) and Guan Yu Shrine to see Thai people’s daily lives and lifestyles. Ang Thong National Marine Park: It’s an archipelago of 42 islands where you can do snorkeling, hiking, kayaking, diving, sightseeing, and simply relaxing at the beach. 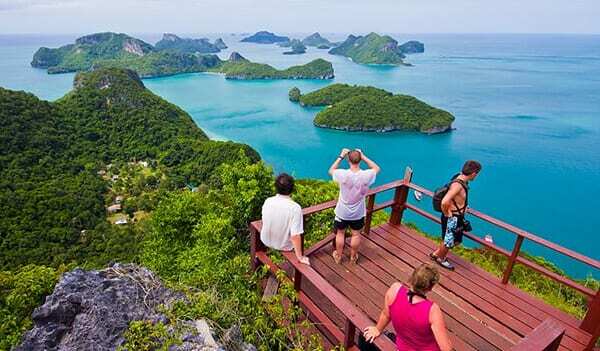 The first must-visit place in Ang Thong is Ko Wua Ta Lap (Wua Ta Lap Island) with its viewpoint where you can see all 42 islands. And the second must-visit place is the Emerald Lagoon (Inner Sea) which belongs to Koh Mae Ko (Mae ko Island). It is a large emerald lake in the middle of the island, where you can enjoy swimming and snorkeling.